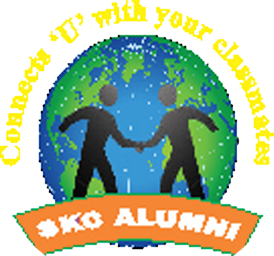 Sri Kaliswari College, Sivakasi was started by Sri Kaliswari Trust (Sivakasi) in 2000 AD with the aim of imparting quality education to the students hailing from rural and economically backward regions so as to qualify themselves for nation building. The dedicated faculty members not only teach their subjects but also discipline the students through value-based education, yoga and physical training. Sri Kaliswari College has the distinction of being the first institution in introducing B.Sc Biotechnology Programme in Madurai Kamaraj University area. B.Sc Tourism and Hotel Management is a professional course being offered at very low fee. In addition to vibrant academic and research actives, socially and regionally relevant programmes are also being imparted. Through Kalis Coaching Academy, students are being given Bank Coaching Programmes and online training during term. The Placement Cell gives placement training during vacations. The Management meets the cost of the entire coaching and training. I am pleased to learn that our college has been reaccredited by NAAC, Bangalore with ‘A’ Grade (3.30 CGPA out of 4).UGC, New Delhi has accorded Community College with grant facility for offering Diploma in Manufacturing of Matches and Fireworks for two batches of students in 2015-2016 & 2016-2017. This is a unique course at the national level. I wish the college many more laurels in the years to come.